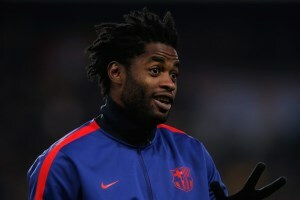 West Ham United midfielder Alex Song has revealed Arsene Wenger blocked his return to Arsenal. The Cameroon international says he had hoped to return to Arsenal when he left Barcelona last summer, but Wenger didn’t want him. “I would have liked to come back, but they didn’t want me,” Song, who faces his old club for the first time as a West Ham player on Sunday, told L’Equipe. “That’s life. I’m not mad at them.